This week saw a lot of activity behind the Water Park at Reunion Resort. 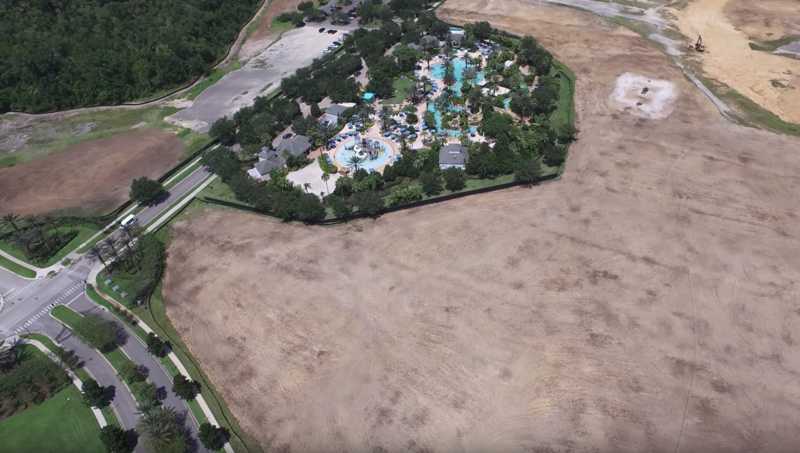 The land appears to be getting ready for construction around the full perimeter of the water park’s 5 acre location. The water park is surrounded by large expanses of undeveloped land right now and the prospect of potential new homes here will create a much tidier vista for resort guests as they cross from the Reunion Grand area over to the ‘west side’ of the resort. As soon as we have more news on the new homes being built on this vacant land, we will of course bring all of the details to you via our blog! Next Homes For Sale In Reunion Resort – 5 Bedroom Traditional Dream Home! As a reunion property owner, I am indeed excited of the prospect of seeing the improvements to this open area.